STEPHEN WINFIELD DAVIS was born on November 6, 1943 and joined the Armed Forces while in Turners Falls, Massachusetts. He served in the United States Army. In 1 year of service, he attained the rank of First Lieutenant. He began a tour of duty in the Republic of Vietnam on May 30, 1967. On August 18, 1967, at the age of 23, Stephen Winfield Davis perished in the service of our country in South Vietnam, Quang Tin. 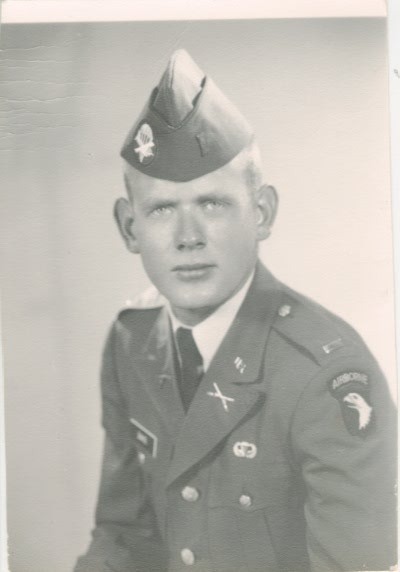 The son of Brigadier General Franklin M. Davis, Stephen came to Carlisle around 1960 when his father was assigned to the faculty of Carlisle Barracks. He graduated from Carlisle High School with the class of 1961 and then entered military college at the Citadel in Charleston, South Carolina. After his graduation from this school in 1966, he was commissioned as a Second Lieutenant and entered the Army as an infantry officer. He volunteered for duty in Vietnam and arrived in county on 22 May 1967. A platoon leader in Company C, 1st Battalion, 327th Infantry (Airborne) Regiment, he was killed in action on 18 August 1967. He was interred in Arlington National Cemetery. A good friend once recalled the days when, as officer of the day at Arlington National Cemetery, he would ride his horse through the darkness to inspect the guard at the Tomb of the Unknown Soldier. This man, who years later became a general officer and lost a son in Vietnam, remembers these nighttime rides past the graves of fallen comrades as one of the most moving experiences of his life. And so it must have been: the rows of gray headstones dimly seen but deeply sensed in the darkness; the steady clip and clop of hooves, somehow appropriate in these surroundings and, oddly, seeming to give emphasis to the silence rather than to break it. A military cemetery has been called in verse "the bivouac of the dead," and at no time must this phrase seem more fitting than at night in Arlington when the simple stones stretch over the rolling hills like grey tents of a giant, sleeping army. But there is more if he who passes through is thoughtful: borrowing from another masterpiece, "these are the dead but once they lived, felt dawn, saw sunset glow..."
My friend is a thoughtful man and a soldier. Was the night enshrouding the mighty encampment heavy with the faint calling of long still bugles, the thunder of distant artillery, the sounds of infantry or amor moving out, the muted crackle of a drill sergeant's voice. More likely, his thoughts were more serene, of somehow being a part of that placid bivoac, of being measured by those who had entrusted him with the sword. Perhaps not all of us who wear or have worn the uniform are as powerfully affected as we stand before the graves of those who also served. But we should be, for in doing so we give meaning not only to the lives of the comrades who died before us, but to our own. With this years theme of having a greater emphasis on "Memorial" back in Memorial Day, it struck me to share again with all, a short, very moving story that appeared in Army Magazine back in 1978. The reference in this story of a son lost in Vietnam refers to First Lieutenant Stephen W. Davis, T Company, Citadel 1966, who was with the 101st Airborne ... the horse soldier is my father. Both are buried together at Arlington. Hi. sir, this is the old gunner. You saved my life when you told me to cover the trail going the other way down the hill. Then you and 3rd Platoon and 2nd Platoon walked in to the ambush. I heard when the Viet Cong yelled out welcome Americans, then all hell broke loose. I took the the mortor that killed you, sir. I remember your lats words ("pull back") then you were quiet. By the time I got to you, you were dead. I'm truly sorry, sir. And just after your Father pinned your First Looie bars on you. I always think of you, sir. Sergeant Jesse Salazer (The Gunner) 101st airborne. 1st/327th Infantry. Let us not forget First Lieutenant Stephen Winfield Davis, casuality of the Vietnam War. As a member of the Army Reserve, Lieutenant Davis served our country until August 18th, 1967 in Quang Tin, South Vietnam. He was 23 years old and was not married. Stephen died from small arms fire. His body was recovered. Stephen was born on November 6th, 1943 in Turners Falls, Massachusetts.